Spacious, modern and nicely furnished apartment with four bedrooms and sunny balcony at the back! 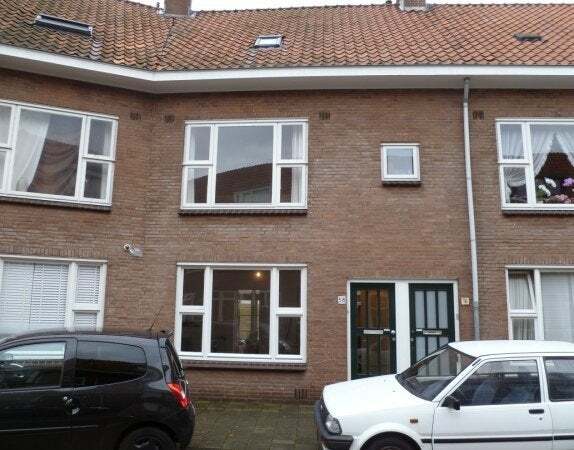 Located in the cozy Amsterdam neighborhood conveniently located to highways to Amsterdam, Schiphol Airport and close to shops, schools, railway station, public transport and the historic center. 1st floor; spacious landing with toilet and access to the attractive living and dining room with laminate floor, two double doors at the back to sunny balcony. Separate neat kitchen with dishwasher, 4 burner gas hob, microwave and fridge. From the kitchen you step into neat simple bathroom with washbasin and shower. Storage room with wasmachineen dryer and storage. 2nd floor, bedroom floor where four bedrooms are, 1st bedroom is an office with closet space, desk with chair, the master bedroom with wardrobe, mirror and two person box spring bed, 3rd room can be used as a guest room with one person bed and extra 1 person bed and extra mattress. and in front the small 4th room which is decorated as a dressing room and there is a separate freezer. - Gas, water, electricity, TV and Internet, local costs.